Church leaders at Trinity Church Oxford on Rising Sun Avenue in Northeast Philadelphia are seeking to lease land to Royal Farms because they do not have the money to maintain the parish house, above. Plans to demolish a Northeast Philadelphia parish house belonging to one of the country’s oldest churches to make way for a Royal Farms convenience store and gas station have been apparently stopped by the Philadelphia Historical Commission. The commission voted late Friday to affix a historic designation on the parish house belonging to Trinity Church, Oxford in Lawndale after reviewing a proposal from the Preservation Alliance during a packed hearing. All future building and demolition permits for the property will have to win the commission’s approval, effectively killing a lease deal that church officials had with Royal Farms. The convenience store operator had planned to build a new store across from a rival Wawa at Rising Sun and Longshore avenues. Neighbors of the cash-strapped church, which, like many, was facing dwindling enrollment, had vehemently opposed the deal, saying the added traffic would disrupt the largely residential community. Calls to leaders of the church, which was first established in 1698, and to Royal Farms were not immediately returned. It’s difficult to overstate the sanctity of the grounds surrounding Trinity Church Oxford, one of the oldest in the country, in Northeast Philadelphia. The churchyard, crowded with tombstones, is the resting place for some of the city’s oldest families, including the brother of U.S. President James Buchanan, and an untold number of slaves in unmarked graves, their presence marked with a simple stone carved with the words ‘Free at Last.’ For parishioners and other Episcopalians in the city, Trinity Church, started in 1698, has been an institution, the mother church for about 12 others in the region. The nearly six-acre church property spans from Rising Sun Avenue to Oxford Avenue, between Glenview Street and Longshore Avenue. For the neighbors in the Lawndale community, the grounds are where they grew up playing football and baseball in an open field, participated in Police Athletic League activities and dropped their own children off at a daycare run out of a parish house built during periods of enthusiastic expansion in 1928 and then later in 1963. But now, there is an open, bitter battle over what to do with the land, as the church, facing dwindling enrollment and declining revenue, wants to move forward with a lease agreement with Royal Farms to demolish the parish house and nearby field to make way for a new convenience store and gas station, directly across from a rival Wawa at Rising Sun and Longshore avenues. Church leaders say they are not interested in selling any part of the church property. Neighbors, concerned over the added traffic, noise and gas pollution, have taken to the street with a bullhorn to protest nearly every Sunday after church services. And they have appealed to the Philadelphia Historical Commission to essentially stop the plan. On Friday, the commission is scheduled to consider a proposal by the Preservation Alliance for Greater Philadelphia to have the property declared a historic building. Neither side seems ready to step down in a dilemma that some say other churches in the region may soon face themselves: a lot of property to care for and not enough money. Heather Miller, who has been spearheading the opposition, was outside the church before a recent Sunday service, armed with a bullhorn and about a half dozen fellow protesters, who fear the pollution and traffic another gas station and convenience store would bring to the neighborhood. Calls to Royal Farms were not returned, but as far as church leaders and parishioners are concerned, the gas and convenience store company, famous for its fried chicken in the Baltimore and Delaware area, is their only hope. A Lawndale congregation's plan to lease part of its property to Royal Farms is opposed by some neighbors who say the character of the neighborhood will change as a result. Royal Farms operates five stores in Philadelphia and its northern and western suburbs, with more coming. The chain hasn't been shy about locating near existing Wawa locations. Along MacDade Boulevard in Glenolden, Delaware County, Royal Farms built a new store less than 1,300 feet down the road from a Wawa store. Along Aramingo Avenue in Frankford, the competitors do business less than a half-mile away. But if built, the Royal Farms site on the church property would be the closest by far – less than 100 feet catty-corner across Rising Sun Avenue from its rival. If the plan advances, it would probably take 18 to 24 months for the store to open for business. “This is a humongous piece of property that unfortunately takes a lot to maintain. We own this whole block” said Jason McConomy, a parishioner since 1969, after coming out of a church service. “We’re trying to preserve this area, this church. Royal Farms were the only ones interested in this opportunity. Residents hold signs at Longshore Avenue and Bingham Street to protest the plans by the congregation at Trinity Church Oxford to lease ground for a new Royal Farms convenience store. The parish house is seen at rear. 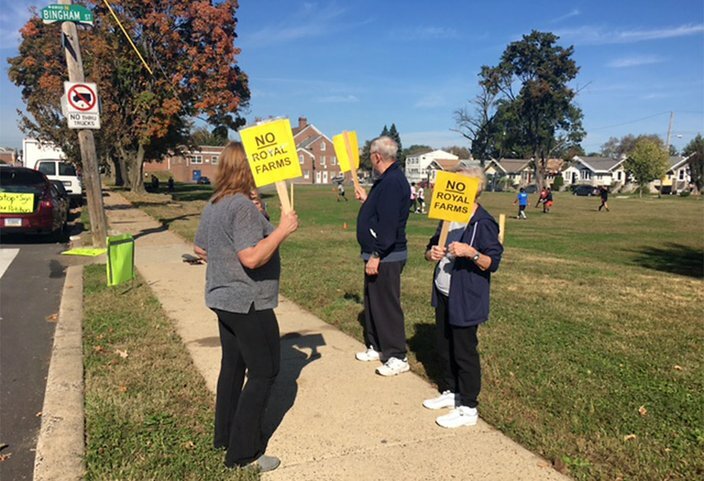 For Susan Feltwell, a 35-year resident who planted a sign on her front lawn declaring “No Royal Farms,” the dispute is over maintaining the peaceful characteristics of the neighborhood. “Traffic, trash, air quality,” she said, listing her reasons for protesting outside the church. She claims the church never told neighbors about its financial problems. Parish leaders went to the Police Athletic League and others “to see if they would take over the building,” she said. There wasn’t enough interest. When the church announced it was entering into a lease agreement with Royal Farms, neighborhood protesters mobilized and have been outside the church every Sunday since July 16. Both sides have stepped up public relation efforts to prevail in the dispute. 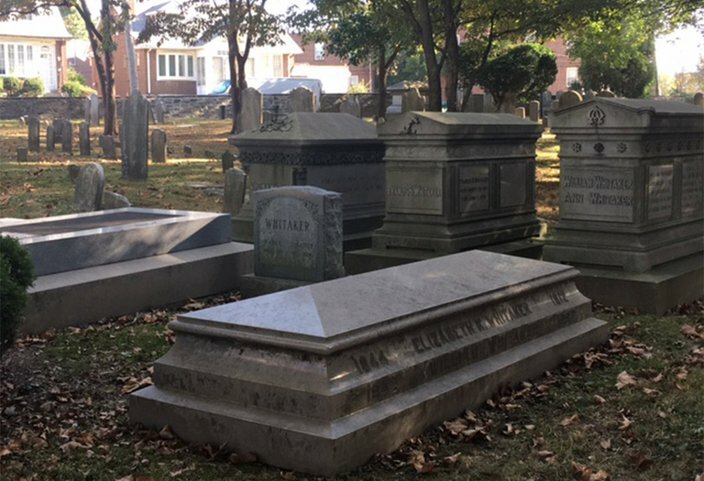 The church graveyard, which would not be affected by the development plan, is the resting place for some of the city’s oldest families, including the brother of U.S. President James Buchanan, and a number of slaves in unmarked graves. 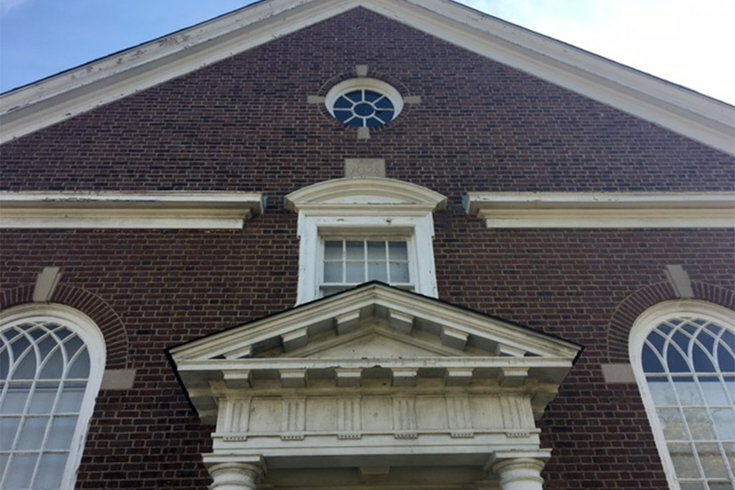 “We wouldn’t submit (a proposal) if we didn’t think there was historic significance to the building,” said Patrick Grossi, advocacy director for the Alliance, adding that Northeast Philadelphia has largely been “neglected” in the efforts to preserve historic buildings. But he sympathizes with the church’s dilemma. He hopes that with some creativity, church leaders will find another use for the site. Until then, Miller vows the protests will continue.